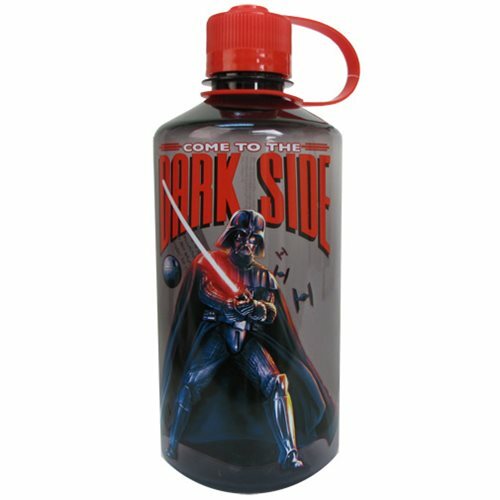 Come to the dark side - we have large water bottles like this Star Wars Dark Side 32 oz. Plastic Water Bottle with cap! Hand wash only. Not dishwasher safe. Do not microwave. Measures approximately 9-inches tall. Ages 14 and up.